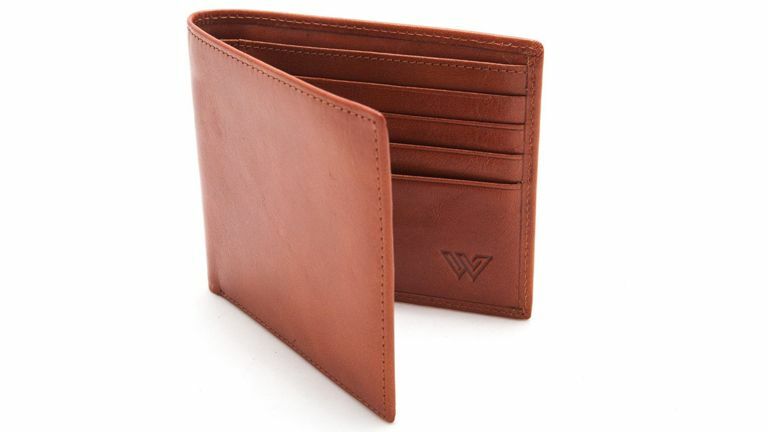 Out of all the wallets in this roundup, this one is easily the most stylish, combining a super elegant slimline design with beautiful Italian leather and a lovely rich tan colour. Indeed, if you want to choose a wallet purely on how it looks, then call off the search party as you have found what you were looking for. This wallet is thin, light and just looks killer, no matter what garment you are pulling it out from. It is equally perfect for suits and duffel coats alike. In terms of feature set though, things aren't quite so rosy. While there are a large selection of credit card slots and a cash compartment, there is no driving license slot with viewing window, no dedicated coin pocket and - due to the super thin design - no room for carrying things like a spare key. It is clearly not a wallet for versatile everyday usage therefore in T3's opinion, however if you are looking for a night out wallet, or a secondary wallet for small excursions or mini-breaks, then it is a sound and super stylish choice. Oh, and every bit of it is RFID shielded too, so it delivers good security against personal data mining attacks.